Shenzhen Creative Week is part of the most important furniture exhibition season in China. Backed by its Shanghai Liaison office, Pro Helvetia introduces these ingeniously innovative design studios to the Asian market and audience, highlighting Switzerland’s long-standing design tradition, with a focus on high quality, functionality, innovation, and forward thinking approach. 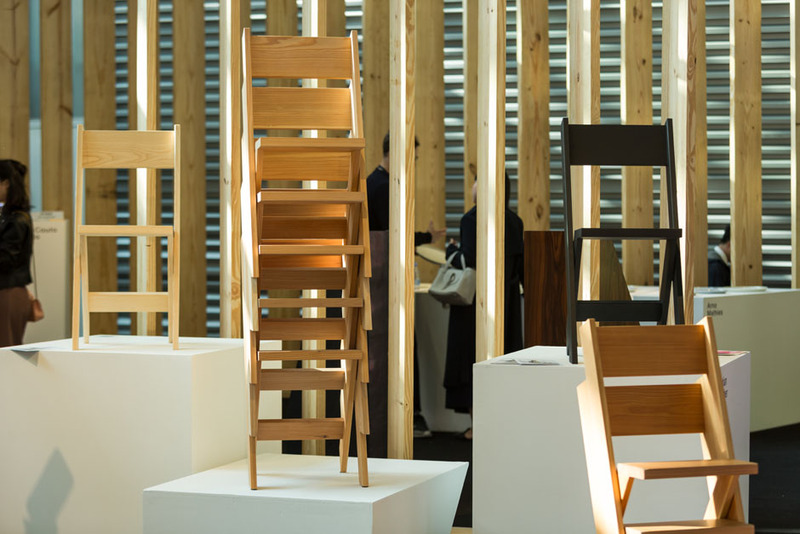 Michel Charlot worked for Jasper Morrison Ltd, before setting up his own practice in 2011. His constant quest for efficiency in conception, production and design results in cost driven intuitive products. He has been awarded with the prestigious «Swiss design award» and «Swiss Federal Design Award». Laura Couto Rosado is a product and media designer based in Geneva, passionate about creating a strong symbiosis between design, science, and technology. Inspired by fundamental and applied physics, she designs hybrid devices, merging craftsmanship and emerging technologies such as AI, that reveal beauty and poetry where one does not expect it. Dukta is a unique type of incision process that makes wood and engineered wood flexible. Thanks to an internationally patented method, the material gains textile-like properties and enables a wider range of applications, including partition walls, furniture and lamps, opening up new horizons for interior fitting and designs. Christophe Guberan is a product designer interested in material research and experimentations. His Hydro-Fold project, consisting of self-folding paper printed from a desk-top 2D printer, has received wide academic and public attention that resulted in an ongoing collaboration with MIT’s Self-Assembly Lab and has recently been awarded with the Hublot Design Prize. Sebastian Marbacher is a Zurich based product designer finding his inspiration by looking carefully at the human body and behavior, leading to projects that hold a significant social function. Arno Mathies is a freelance designer based in Geneva. His work is inspired by the potential output of production processes and material properties. He intends to question the function of an object by exploring the limits of form, use and perception. Julie Richoz is an ECAL graduate and set up her design studio in Paris in 2012. She has won the «Grand Prix» of the Design Parade 2012 at the Villa Noailles as well as a «Swiss Federal Design Award». She was a designer-in-residency at Sèvres, Cité de la céramique, as well as at CIRVA, international research center on arts and glass. Daniel Wehrli has been working in Japan and the United States before graduating from the ECAL and setting up his own studio, focusing on innovative product and furniture design and development. He has won several design awards amongst which the japanese «Award for Excellence» from Ishikawa prefecture.